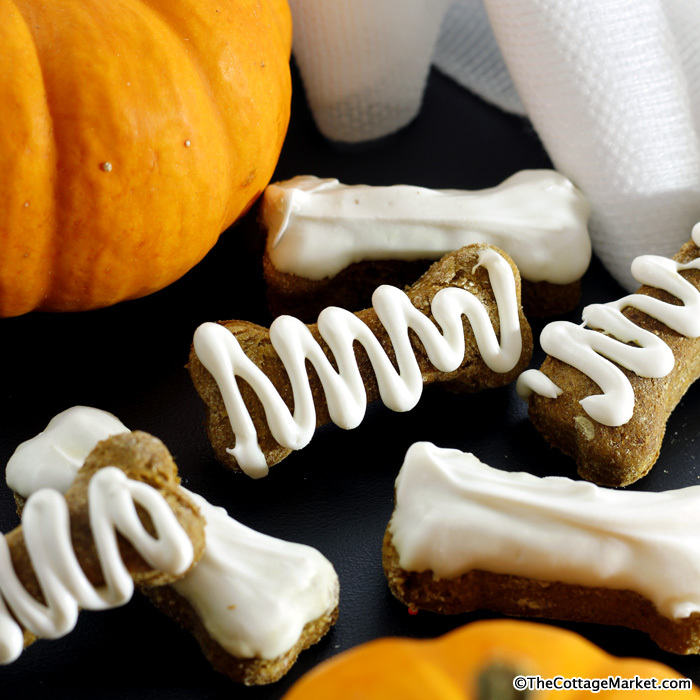 Feel Good Friday: Yummy MUMMY Dog Treats! With Halloween fast approaching, we’re all getting into the spirit! So don’t forget to include your dog (or his trick-or-treating pals) when it comes time for giving out treats. 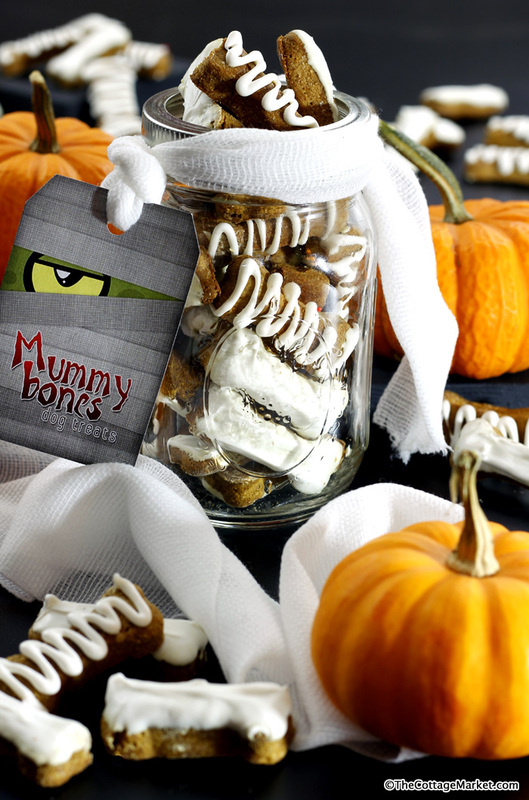 These extra yummy mummy dog treats are sure to be a tail wagging hit! This recipe comes from The Cottage Market. 1 teaspoon of cinnamon (cinnamon is safe to use for your dog …but of course don’t feed your pup an entire container because anything in quantity is not a good thing…I want you to know however NUTMEG is NOT to be used ever! I am just telling you because many people feel as though cinnamon goes together perfectly and it does but NOT FOR DOGS! Now slowly mix in the dry into the wet by hand…mix until thoroughly combined the dough will be very pliable and easy to roll. You will know if you have to add a bit more liquid or on the other hand…a bit more flour! Keep on rolling till all of your treats are cut. I used a 1½ inch bone cutter and I got 80 bones to give you an idea. 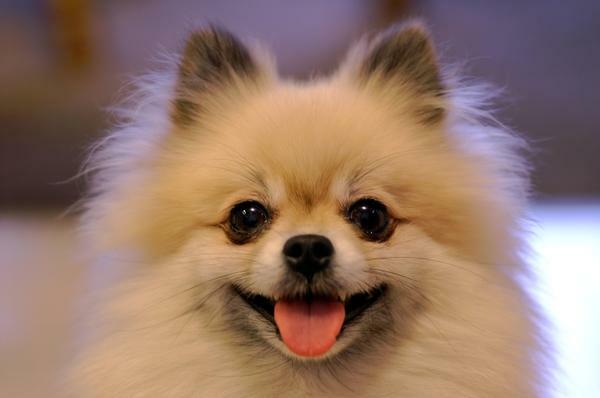 Now it is time for you to surprise your dog with the special treat! Let us know if your pet loved these, or comment with other great recipes to try! 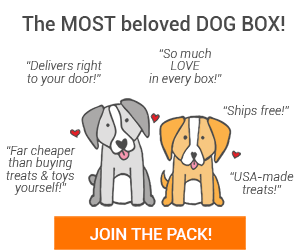 Have you signed your furry friend up for a Pet Treater box yet? 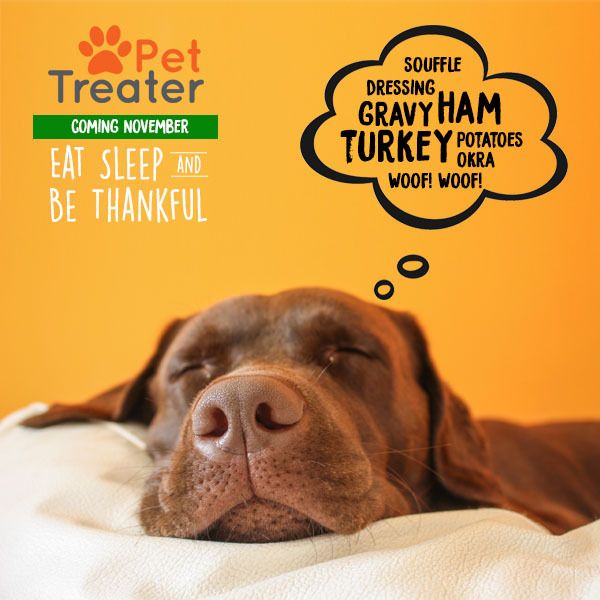 Sign up now to receive our “Eat, Sleep, and Be Thankful” themed box! Click the banner to get started! Feel Good Friday: Spread A Smile! Let’s Do Earth Day the Right Way….the Pet Way! 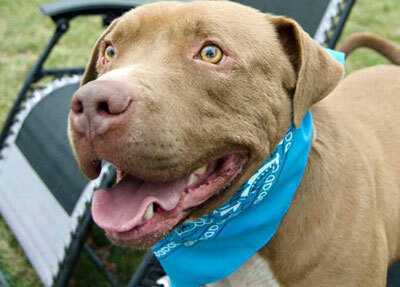 Spring Into Some Outside “Pawtime” For Your Pet! © 2017 Pet Treater. All rights reserved.